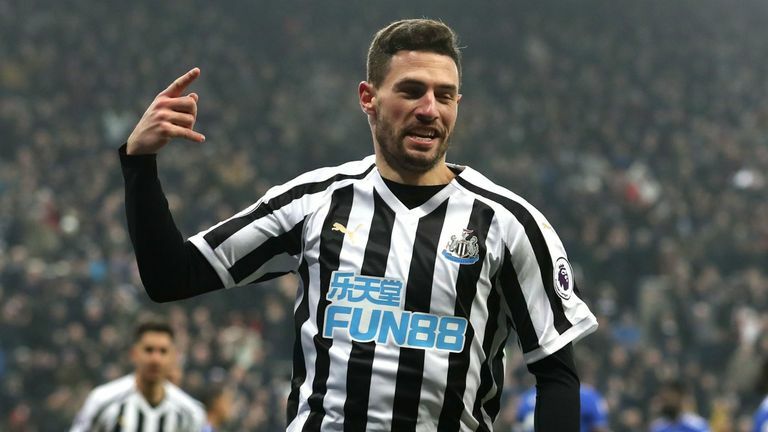 Fabian Schar proved the unlikely hero after his double moved Newcastle out of the relegation places with a 3-0 win over fellow strugglers Cardiff City. The victory was a timely boost for Rafa Benitez's team who had slipped down the table after a run of just one win in their last nine games. Meanwhile, this victory lifts them above Cardiff, who drop into the bottom three and are now two points from safety. In front of owner Mike Ashley, who was back among a crowd of 49,864 at St James' Park for the first time since November 10, Newcastle looked nervy in the opening stages against a Cardiff team that had new signing Oumar Niasse in attack. Perez drew some noise from the crowd when Neil Etheridge tipped over his glancing header on 13 minutes. Fabian Schar replaced Ciaran Clark for Newcastle while Sean Morison and Harry Arter were missing for Cardiff. With the game drifting, Schar gave the hosts the lead in spectacular fashion on 24 minutes. The defender decided to drive forward with the ball and Cardiff backed off. He strode into the box before steadying himself and side-footing expertly into the bottom corner. Cardiff threatened a fightback after the break but the Newcastle defence stood firm. It gave their attack a platform to build on and it was soon 2-0. Jamaal Lascelles rose to flick on Matt Ritchie's corner and Schar arrived to bundle the ball home for an unlikely double salvo. The hat-trick did not materialise, despite heading a presentable chance wide and Perez rubber-stamped the win at the death as he scored from close range after some clever play from Rondon. His last goal came in 2017 when Deportivo drew 2-2 with Athletic Bilbao, so there was little expectation of him delivering a match-winning performance. But he did. 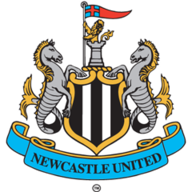 The centre-back was outstanding at the heart of the Newcastle back-line, supported by Lascelles and Florian Lejeune, winning 10 aerial duels as Cardiff went direct. But his performance will be remembered for his two goals, the first especially, where he showed sublime attacking instinct to curl home with his left-foot. Newcastle have won their last 10 home league games against Cardiff - only against Bolton have they had a longer run in their history (11 between 1898 and 1914). Newcastle scored three goals in a Premier League game for the first time this season, last doing so against Chelsea on the final day of the 2017-18 campaign. Cardiff have failed to score in a league-high 11 different Premier League games this season. Schär scored both of Newcastle's goals in this match, his first ever goals in the Premier League. He'd scored just three goals in his previous 65 appearances in the top five European leagues. Schär became the first defender to score twice in a Premier League for Newcastle since Philippe Albert against Man City in February 1996. Each of Ayoze Perez's last five Premier League goals for Newcastle have come at St James' Park. Rafa Benitez: "We could see from the first minute our team wanted to get three points against a rival. We did really well. Everyone has to be pleased. My message to the fans was to stay calm and support the team - the players did well and the fans enjoyed every minute." 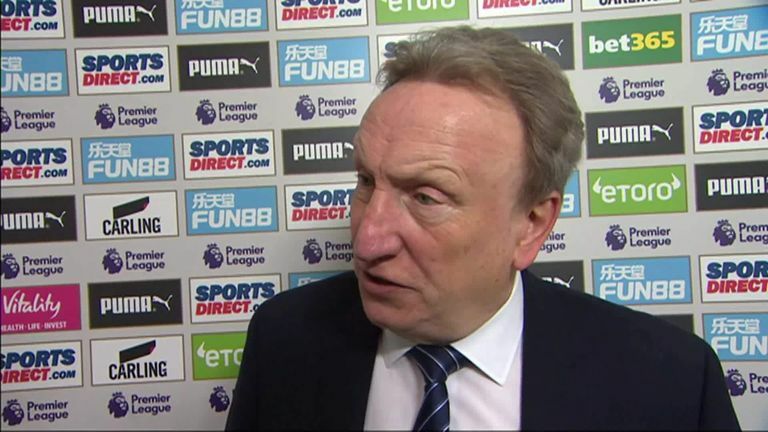 Neil Warnock said he didn't think Cardiff deserved to lose 3-0 at Newcastle but that Salomon Rondon was the difference between the sides. Neil Warnock: "I didn't think it was a 3-0 game. I couldn't see them breaking through until the first goal which was poor from our point of view. We started the second half well and were dangerous and then conceded the second that killed us. We didn't have anything drop for us and they were better than us in the final third." 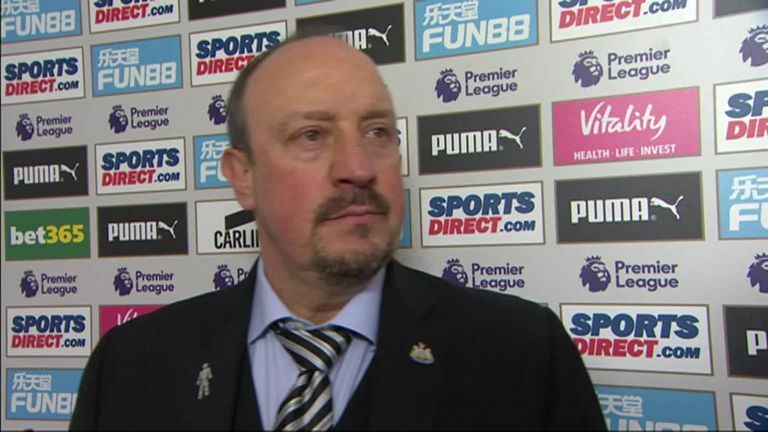 Rafael Benitez says Newcastle's players were full of confidence and the fans enjoyed every minute as they beat Cardiff 3-0 in the Premier League. Newcastle have a home FA Cup fourth-round fixture to look forward to next Saturday against Watford before travelling to Manchester City in the Premier League. 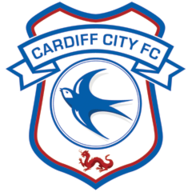 Meanwhile, Cardiff are not back in action until January 29 when they travel to Arsenal.